Padre Hurtado Hospital is a relatively new Health Care Institution (inauguration year 1998) that is part of the Santiago South-East Health Network. It cares for approximately 423,000 people from the most underprivileged areas of Santiago: La Granja, La Pintana and San Ramón Counties. 80% of its inhabitants have very low socioeconomic means and are dependent on the public health system. 14 Primary Care Centres distributed along these Counties provide primary health care in this area, the majority of which have basic emergency care services during working hours. Additionally, there is one Community Urgent Care Centre (SUC) per county open 24/7 for emergency consults of minor complexity. CRS (Health Care Reference Centre) provides secondary health care in Medicine, Pediatrics, OBGYN, Surgery, ENT, Dermatology, Neurology and Ophthalmology and offers outpatient specialized care, higher complexity laboratory and imaging exams, minor surgeries and procedures of median complexity. 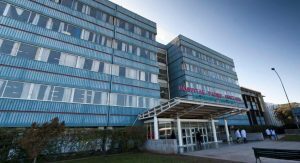 Medicine: Hospitalized services in basic, intermediate and intensive care, Emergency department, Hemodialysis and Stroke unit. Pediatrics: Hospitalization services in basic, intermediate and intensive care, Emergency department, Pediatric surgery. OBGYN: Hospitalization services in gynecology, high risk pregnancy and puerperium, Gynecologic surgery, Labor and Delivery ward, ER for Obstetrics and Gynecology derived emergencies. Surgery: General surgery, trauma and orthopedics and urology. 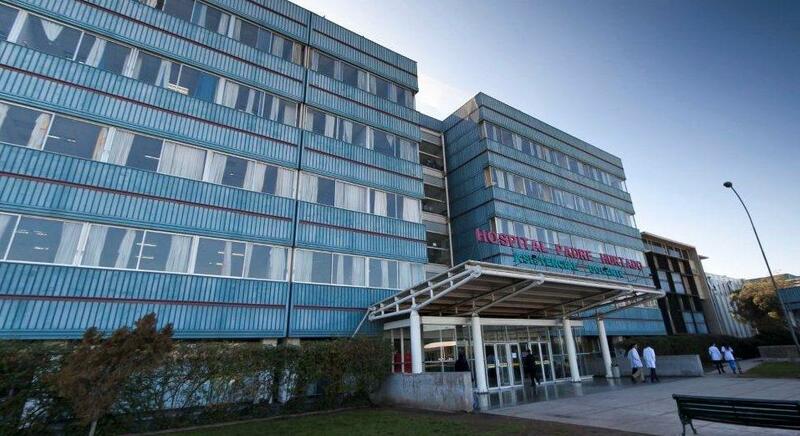 The hospital works in close affiliation with Clínica Alemana de Santiago. Padre Hurtado Hospital is the Teaching Centre of its School of Medicine and postgraduate programs, working place for many of their highly qualified physicians and teachers and is capable of referring certain patients to the Clinic if more complex procedures are needed. 181,215 yearly emergency consults (includes OBGYN, pediatrics and adult emergency department consults). 1,400 employees; 285 of which are physicians.